This past weekend, I had the opportunity to take my pal Cletus over to a McDonald’s near-ish me in Downers Grove. We used to live in Downers Grove, so this was near and dear to me. They closed the McDonald’s that I knew and loved, and opened a new one a mile down the road. And this new McD’s was special. 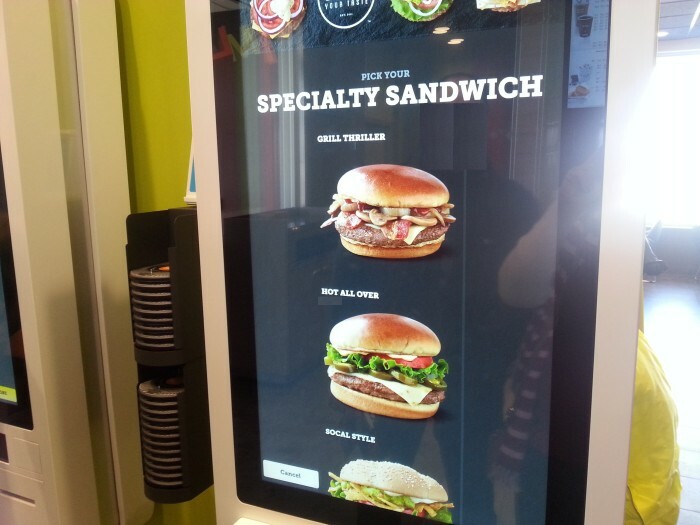 The first of its kind in Illinois, the Create Your Taste menu offers a build-your-own burger feature. 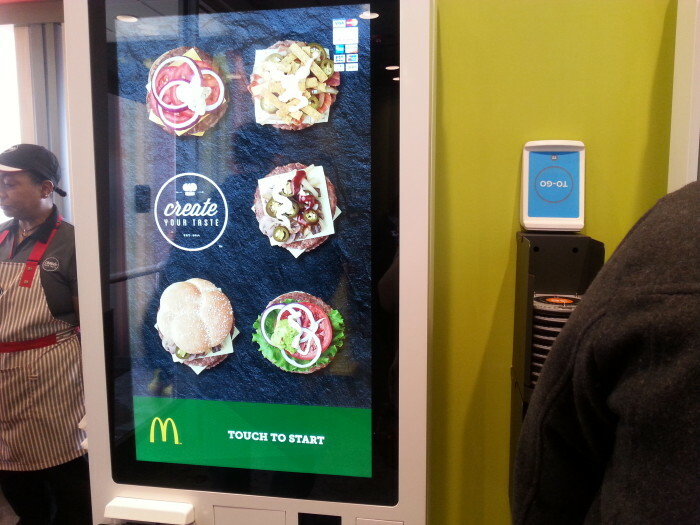 When Cletus and I walked into the McD’s we were greeted by one of the many helpful team members, who showed us how to operate the order menu screen. With so many menu options to choose from, I could make whatever burger I wanted. And I wanted all the cheese. 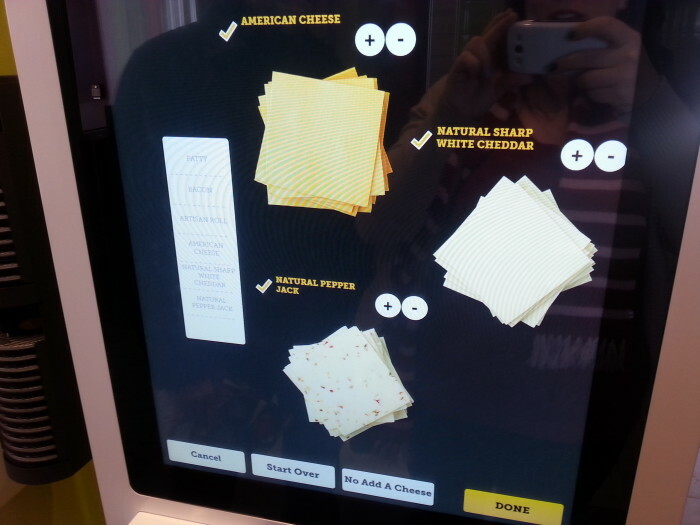 The menu boasts three different cheese options including a pepper jack, white cheddar and the traditional American. Now, I’m not a big fan of American cheese in a lot of circumstances, but there are some food stuffs that are classic and nostalgic and exactly what I want…and a cheese burger with American cheese is one of them. 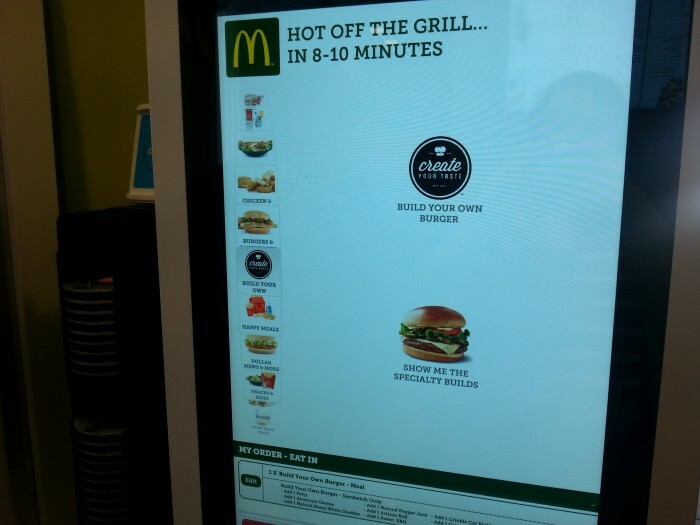 Of course, I clicked the buttons for all three cheeses on my burger. How many burger patties? I only need one. I’ve already got cheese, cheese, and cheese. What type of bun? I want the artisan roll – it’s the most like the original bun. 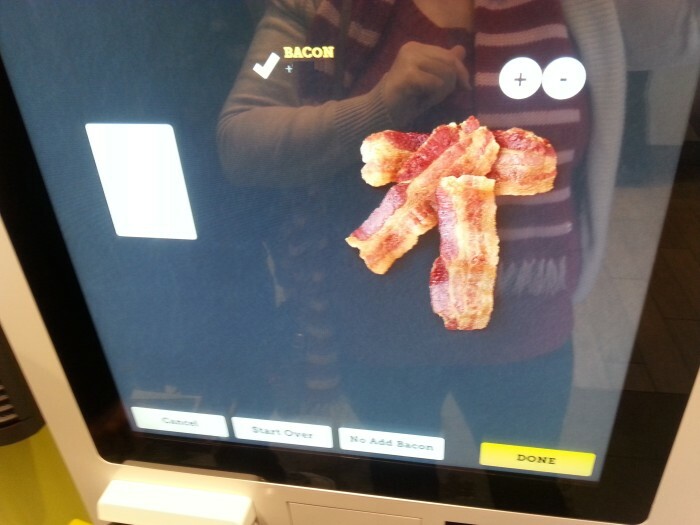 Add bacon for a small charge? Yep. Definitely. What sauce did I want? Oh, I’m thinkin’ the sweet barbeque (which is actually sweet and smoky). What extras? Let’s go with pickles, lettuce and red onion for the win. When it was Cletus’ turn to order, he opted for a specialty build, instead of his own creation. The Hot All Over had pepper jack cheese and jalapenos, and was an obvious win for Cletus, though he was disappointed that he couldn’t find pineapple on the menu. When a team member delivered our food a little less than 10 minutes later, he was SUPER helpful, offering to bring me extra BBQ sauce and ketchup. 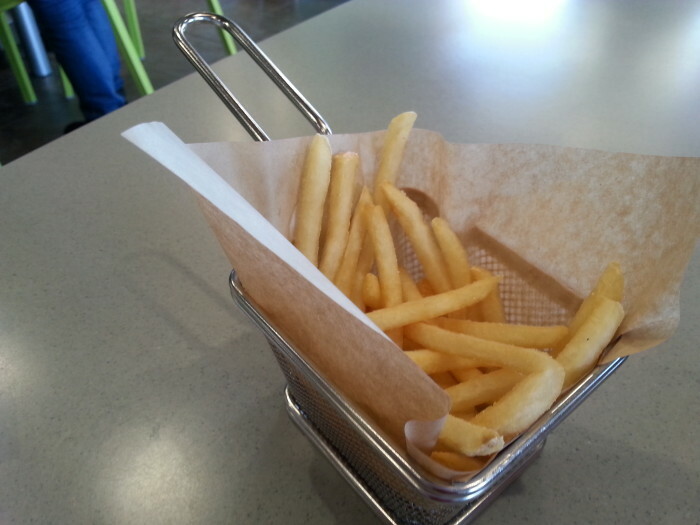 The fries were OMG served in the CUTEST little fry baskets, making this a serious happy lunch hour for this girl. I may have already eaten half the fries by the time I remembered to take the picture. Don’t hate. And of course, the piece de resistance. 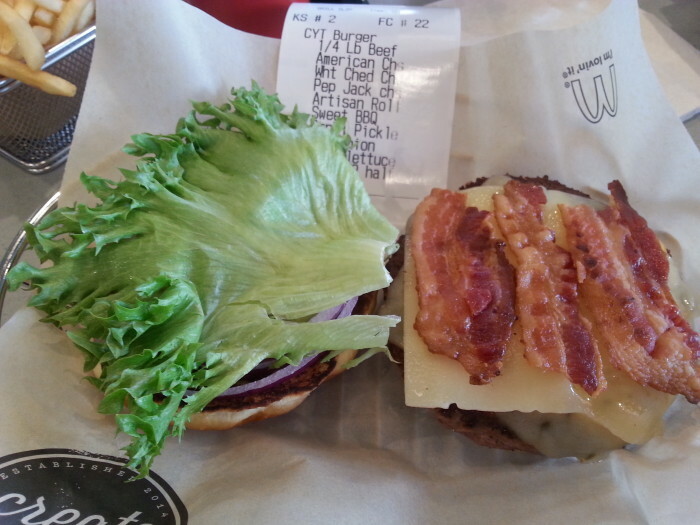 The McSmoky Triple Cheese Burger. The cheeses melted together in a magical cheesy burger land. The smoky BBQ added a rich flavor and the rest of the ingredients were exactly what I wanted on my burger. Thanks McDonald’s! This was delish. What burger toppings would you put on your dream burger (and while pineapple is not currently on the menu at McD’s, you’re free to suggest it as a dream burger topping for your sammy Cletus’ orders)?